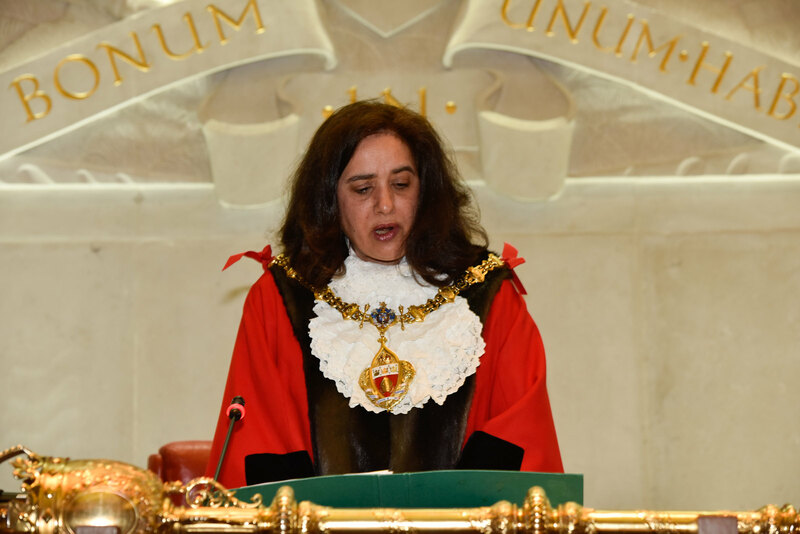 The Worshipful the Mayor of the Royal Borough of Kensington and Chelsea, Councillor Marie-Therese Rossi, has served as a Councillor for Redcliffe Ward since 2010. In 2015/16 she served as Deputy Mayor. Councillor Mohammed Bakhtiar is her Deputy Mayor and her Consort is Councillor Gerard Hargreaves. Monsignor Jim Curry has agreed to continue as her chaplain. Monsignor Jim is Parish Priest of Our Lady of Victories Church Kensington and Episcopal Vicar in the Diocese of Westminster, with particular responsibility for Kensington and Chelsea, Hammersmith and Fulham. During her second term as Mayor, Marie-Therese has adopted Solidarity Sports as her Mayoral Charity for 2018/19.